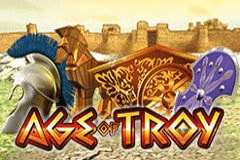 The epic battle of Troy has been covered in various films, books and legends, but now this ancient Greek war is also covered by an online casino pokie, with various characters from the tale turning up across the 5 reels to award players with coins, some extra features and the potential to land a progressive jackpot prize. It’s a colourful game that plays it safe by following a popular theme and while the bonuses are perfectly reasonable, there’s nothing particularly unique about them either. However, this is unlikely to put off the majority of punters who like the classical style and gameplay on offer in Age of Troy by WMS Gaming. The 5 reels are filled with symbols arranged over 3 rows and there are 20 paylines running across them, with standard wins coming in the conventional way as 3 or more matching symbols stop across a line, on adjacent reels running from the left side. The attractive design takes inspiration from Greek art of the times, and has a patterned light beige background, while payline indicators run up either side of the reels. Above them, we see 4 progressive jackpot values, each increasing as a small portion of each wager is added to them, and below is the control panel. This control panel is where players decide how much they wish to stake on a spin, from a low limit of 0.20, to an upper limit of 40.00, although free Age of Troy video pokies can be found at many casinos, allowing them to test it out before playing for real. 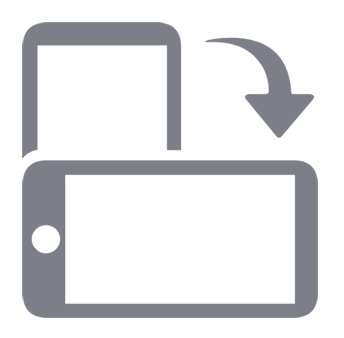 A pay table will also give people the chance to review what each set of symbols is worth, and like many pokies, it starts with the low-value playing card icons Q, K and A, which are in a typically Grecian style and are all worth 5x, 20x or 100x the line bet when landing across 3, 4 or 5 reels. A jar of coins and a vase are both given the same values, returning wins of 10x, 50x or 200x the line bet, while one of the thousand ships that Helen of Troy was supposed to have been responsible for is worth 20x, 100x or 400x, which is the same value given to the warriors’ helmet symbol. Helen herself turns up near the top of the pay scale, winning prizes 50x, 150x or 500x for landing on 3, 4 or 5 reels across a line, but an unidentified Greek dude, who could be her lover Paris, will pay out when he stops on just 2 reels, with an award of 10x, going all the way up to 1000x when he stops on all 5 reels. There’s a couple of extra symbols in play, which trigger bonus features or create winning combinations when landing in the right places. First up, we see the Trojan Horse, which the Greeks used to sneak inside the city of Troy and let the invaders in, but it’s a welcome symbol here, as it will substitute for all except the scatter, helping to fill in any gaps in lines of symbols and thereby complete winlines, or extending wins across further reels. The scatter is the imposing front of a Greek temple and when this symbol lands in any 3 or more positions at once, without needing to be on a payline, players are treated to 12 free spins, during which the Trojan Horse will become a stacked wild, which has the effect of making it easier to complete winlines. The free games can be retriggered if at least 3 scatters turn up in one of them, and 12 more spins are added to the end of the current ones. Players are able to gamble any win of less than 700x, doubling it if they correctly pick a black or red playing card, after which they can either collect the new win, or try again, with luck multiplying it up to 5x over. Any wrong pick however, loses the initial bet, along with anything earned so far in the gamble feature. The randomly-triggered Jackpot Cards round is found across all EGT pokie games, and once entered, players are guaranteed to win one of the jackpots shown above the reels. By clicking on 12 face-down playing cards, the first suit found three times will result in the corresponding Club, Heart, Diamond or Spade jackpot being awarded. A popular theme, straightforward style and some pleasing bonus features are all going to ensure that the Age of Troy video pokie finds a wide audience. It might not be the most innovative game on the market, but that’s not the aim, and EGT have provided the style and features that many gamblers are looking for.